There are strong correlations among these variables. Using more than one of these explanatory variables in a single regression model would introduce redundancy and lead to an unstable model. 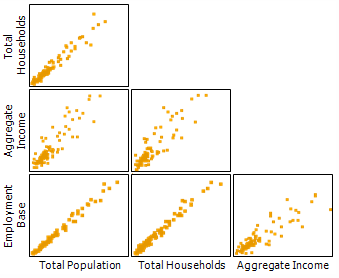 Each explanatory variable in your regression model should get at a different facet of the dependent variable you are trying to predict or model.